Next year’s Ocean Lava Madeira triathlon is aiming to build its credentials as a destination event for travelling triathletes across Europe and beyond. Scheduled to be held on Sunday 26 March 2017, the early season event is situated on the south coast of Madeira in the city of Machico and the surroundings of Quinta do Lorde Resort, Hotel & Marina. Ocean Lava Madeira will use all access roads to the Natural Reserve of Ponta de São Lourenço, ‘one of the last nearly untouched places in Europe’. The cycling course will take athletes through the road to Machico (the historic city and the old capital of Madeira) offering unique views of the south and north coast of Madeira island, the surroundings of Machico city and ‘the entire mountainous massif of Madeira island as well’. 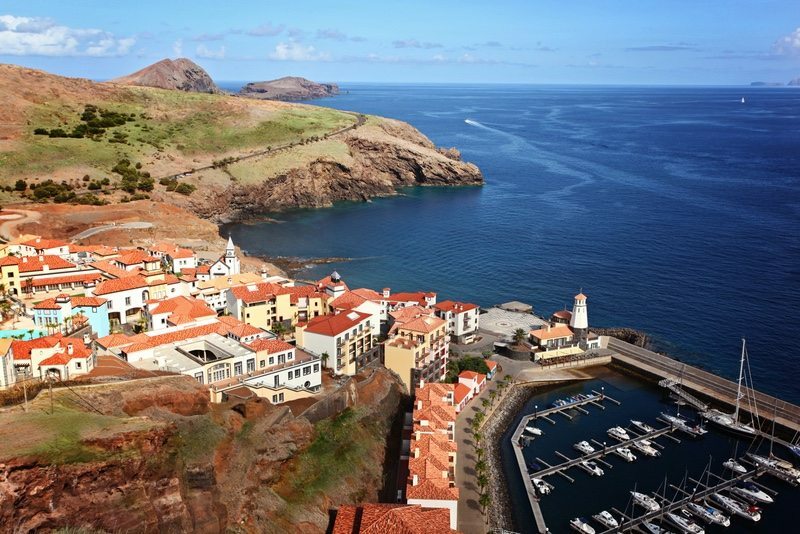 The Ocean Lava triathlon series has forged a collaboration with the Madeira Regional Triathlon Association (Associação Regional de Triatlo da Madeira) with the joint partnership of the Quinta do Lorde Resort, Hotel & Marina, a ‘luxury 5-star triathlon-friendly hotel’. The Quinta do Lorde Resort, Hotel & Marina is billed as ‘a small paradise that offers a permanent contact with the local area’s surrounding sea, flora and fauna’. Set in an enviable landscape of lush nature, the resort and marina recreate a small fishing village. The resort-marina is only 20 minutes from the capital, Funchal, and 10 minutes from Madeira International Airport. The surrounding area of Quinta do Lorde Resort, Hotel & Marina is one of the most visited attractions by tourists and visitors to Madeira, ‘enjoying wonderful trails and sea views, set in the nature reserve of Ponta de São Lourenço’. Ocean Lava Madeira 2017 is offering three distances with the main half distance race, alongside an Olympic distance race and sprint distance event. Also integrated in the 2017 Ocean Lava Madeira triathlon, will be an aquathlon competition (II Aquatlo Jovem of Quinta do Lorde 2017) as one of the main event’s of the local youth regional calendar for 2017. The final events schedule will be presented in January 2017 by the Madeira Regional Triathlon Association. Madeira’s volcanic origins provide a hilly landscape and a mild climate all year round, encouraging close contact with nature. The volcanic origins of Madeira can still be seen. The island is surprisingly mountainous with peaks of 1,860m, over 6,100 feet high. Fortunately for tourists, volcanic activity stopped about 6,500 years ago. This activity has endowed the island with a fertile landscape where much of the island was, until comparatively recently, covered in ancient subtropical rainforests. Indeed this is the reason for the name of the island, with Madeira meaning ‘wood’ in Portuguese.